Image has been converted to black and white.) Dita Von Teese poses for a portrait during amfAR Milano 2016 at La Permanente on September 24, 2016 in Milan, Italy. 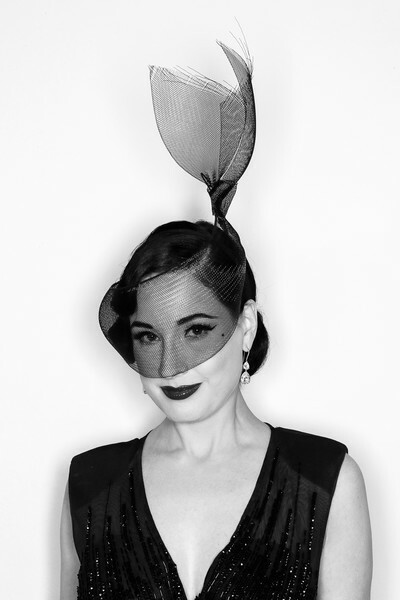 Dita Von Teese looked dramatic wearing this decorative mesh hat from Hood London at the amfAR Milano 2016.